According to a new research study fromThe Baltimore Education Research Consortium, student attendance rates in September are an indicator of attendance rates for the rest of the year. Students who missed 2 or more days in September were significantly more likely to be chronically absent for the rest of the year. A key factor in student attendance is engagement. When students feel valued, engaged and part of a school culture of expectation they are more likely to attend class. Strategies such as peer advisory boards, mentor programs, the development of positive online protocol (yes…teacher-student texting!) and online communities for the entire school can build stronger relationships between students and adults, leading to increased attendance and achievement. Take some time to evaluate your August & September attendance rates and determine what strategies you will use or continue using to build and maintain attendance for the rest of year. DOWNLOAD RESOURCE GUIDE– Strategies for helping students connect to school and commit to their own education. Featuring lessons plans, best practices, parent tip sheets and discussion questions. TheExpanded Success Initiative (ESI) is the educational component of the New York City Office of the Mayor’s Young Men’s Initiative (YMI) and was launched in New York City Public Schools in 2012 as the nation’s largest effort to tackle the educational achievement gap and increase the number of Black and Latino young men who graduate high school prepared to succeed in college and careers. Connect with Kids works with ESI to support the success and sustainability of this program by developing this website and providing highly effective tools including a customized video-based program, advisory programs for ESI schools and evidence-based Connect with Kids videos that are proven to improve attendance, achievement, resilience and college and career readiness. Websource clients: Find the following videos with supporting lesson plans and discussion questions, within the Attendance and Achievement section. Why do some children succeed while others fail? Resiliency can make the difference: the ability to bounce back from frustrations and recover from setbacks. We can teach resiliency skills to our children. Watch Against All Odds and get an inside glimpse into the lives of children who are reaching their personal dreams and goals despite challenges such as poverty, drugs, crime, family problems, cultural differences and more. Every day in America, approximately 4 million children are NOT in schools. 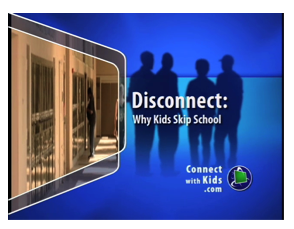 Hundreds of thousands more students skips class unexcused. This video provides strategies for helping students connect to school and commit to their own education. Expectations of parents, teachers and peers all have tremendous influence on kids – in sports, in school and in life. Students, what does everyone seem to expect for your future and what should you expect for yourself? A set of DVDs profiling real kids struggling with attendance and academic achievement. 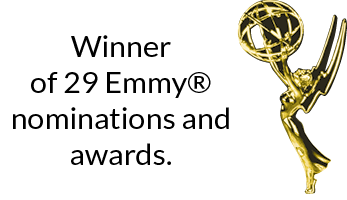 Program titles include Against All Odds, Children of Hope, Disconnect: Why Kids Skip School and The Power of Expectations, covering issues including Drop-Out Prevention, Truancy Prevention, Motivation, Achievement and Resilience. Websource is the Connect with Kids online library which includes 300 reality-based streaming videos that are 3-8 minutes in length, lesson plans with discussion questions, parent tip sheets, family viewing guides, professional development videos with assessments and a weekly newsletter featuring the latest research on social, emotional, health and wellness related issues. Click on the buttons below to learn more about how your school can access Websource.